Ritek is the largest blank optical manufacturer in the world. They are based out of Taiwan. Ritek manufactures optical media for many different companies. 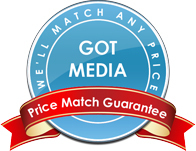 So you mayt already be using Ritek media and not know it. Ridata is their consumer packaged CD-R and DVD-R. Ridata and Ritek are the same company.